The workplace has evolved over time with changing management structures, diverse business styles, and technology advancement. What remains consistent are the needs of employees in the workplace. Do your employees feel like a valuable asset to the team or have a feeling of accomplishment? 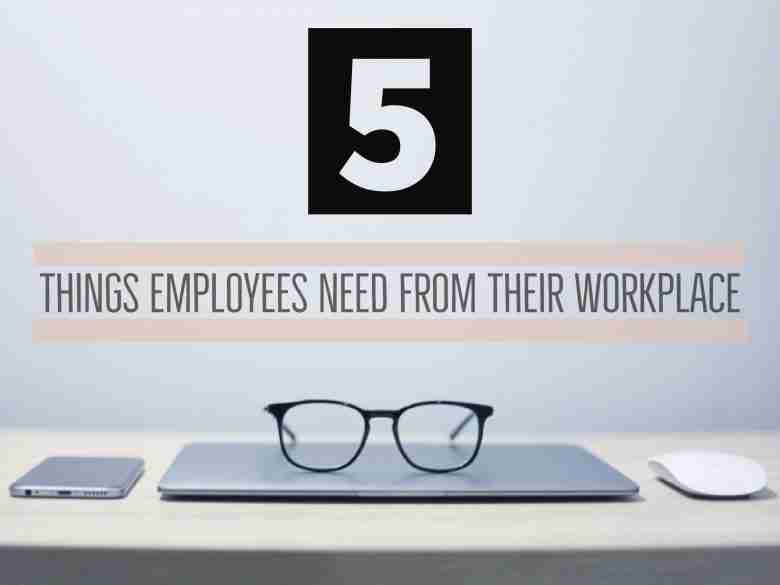 Explore Bigfin’s five employee needs to understand ways to help them thrive in the office/workplace. One fundamental human desire every employee needs from their workplace is the sense of achievement. Even the most modest achievements are considered an attribute to an employee’s overall attitude and personality that can be further developed and refined. Thus, it is important for employers to follow up with employee achievements with recognition. Receiving recognition can greatly help motivate employees to reach plausible goals and consistently exceed standards. Not only will employees have ambition to take responsibility for their work, a sense of achievement is associated with improvements in self-esteem, productivity, and performance. Beyond raises and promotions, status is tied to feeling appreciated and valued. Internal status is generally established within a group or team in the workplace, while the status of a company also matters. Meaning, prospective employees will decide if they want to identify or be associated with a company brand. This established reputation influences their decision to apply for a job or accept a job offer with your business. Employee independence or autonomy at the workplace is correlated to employee happiness and commitment. Trust your employees. Instead of placing individuals in a pre-existing workflow “box” that might have succeeded in the past, allow them to have flexibility on how they approach work and how they want to tackle their tasks. Implement meetings or discussions for employees to talk among themselves to discuss current projects and ideas. Too much independence and freedom can be a negative component in the workplace if one has more control over another. Balance the need for independence with the needs of the entire team and business goals. Do your employees feel a sense of belongingness at the workplace with peers? The feeling of wanting to belong is a natural human desire. Feeling included also reduces stress, boosts productivity, improves performance, and encourages engagement. The more connections employees make at work will improve the atmosphere with casual conversations and a willingness to open up more and share ideas. Employees often ponder about their purpose. Nothing is more discouraging than constantly thinking, “What am I doing here?” Negative perspectives also come with a lack of purpose, which can make one feel unimportant, or “working for a check”. Employees with purpose typically have better attendance, work engagement, and overall job satisfaction. For example, volunteer workers demonstrate that having a sense of purpose is beneficial and a positive sensation in the workplace—people are willing to work for free if they feel they are making a great impact or a difference in what they do. Bigfin.com is an industry leader in online advertising, SEO and custom web design. Our comprehensive digital marketing solutions include social media management as well as social media advertising on Facebook, Twitter, Google+, Pinterest, LinkedIn and other social outlets. Looking for mobile website solutions or help with search engine marketing? Contact us online or by phone at (425) 822-8200.